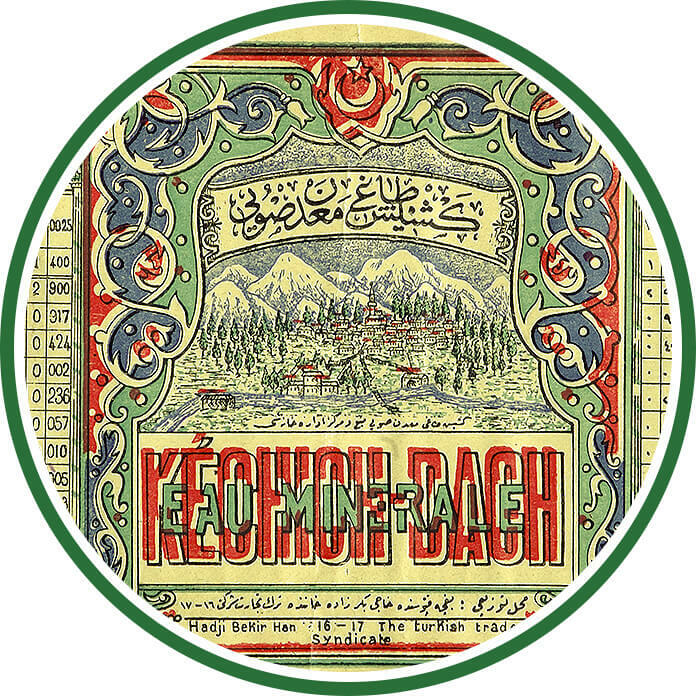 The source for Uludağ Natural Mineral Water (then called Keşiş Mountain mineral water) was purchased by İbrahim Talat Bey and Monsieur Brune on July 6, 1870. The company received its operating license from Sultan Mehmet Reşat Han at the Dolmabahçe Palace on May 26, 1912. 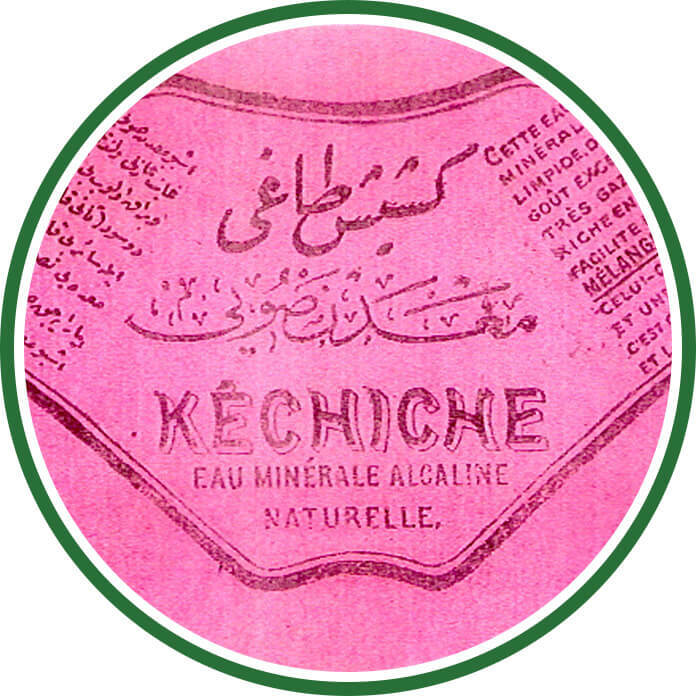 During those years, partners of the Keşiş Mountain Mineral Water business included Sıtkı Bey (Ulusu) from Crete, and Monsieur Bourousine, to whom Monsieur Brune transferred his shares in 1890. 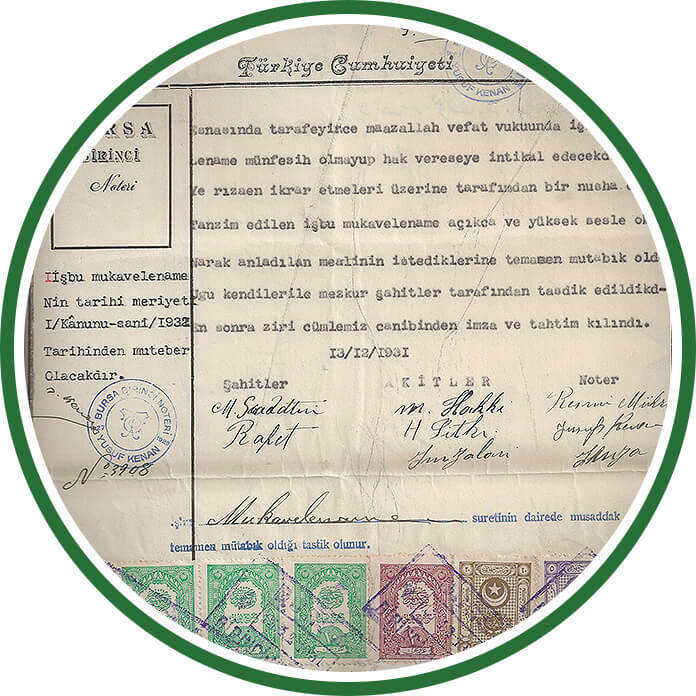 A private committee previously established by a group of teachers in Bursa was adopted as the first branch of the Geographic Committee in 1925. 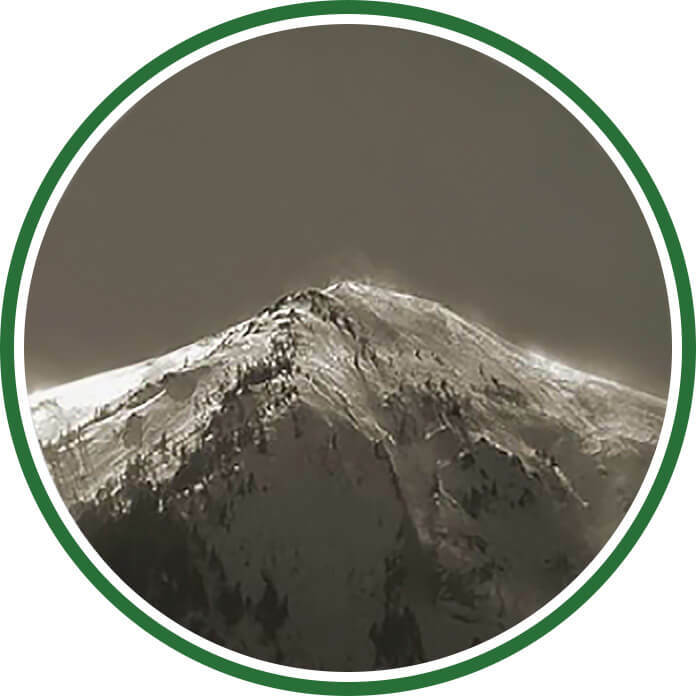 One of the participants of a climb of Keşiş Mountain organized by this first branch, as well as one of the founders of the Turkish History of Medicine Institute, Dr. Osman Şevki, was mesmerized by the splendor of the mountain and exclaimed, "What a grand mountain!" Upon his return to Ankara, the doctor filled out a report and recommended that the name of the mountain be changed to "Uludağ." Marshall Fevzi Çakmak found this recommendation suitable and arranged for the mountain to appear as "Uludağ" in subsequent maps. The name is still used in the present day. 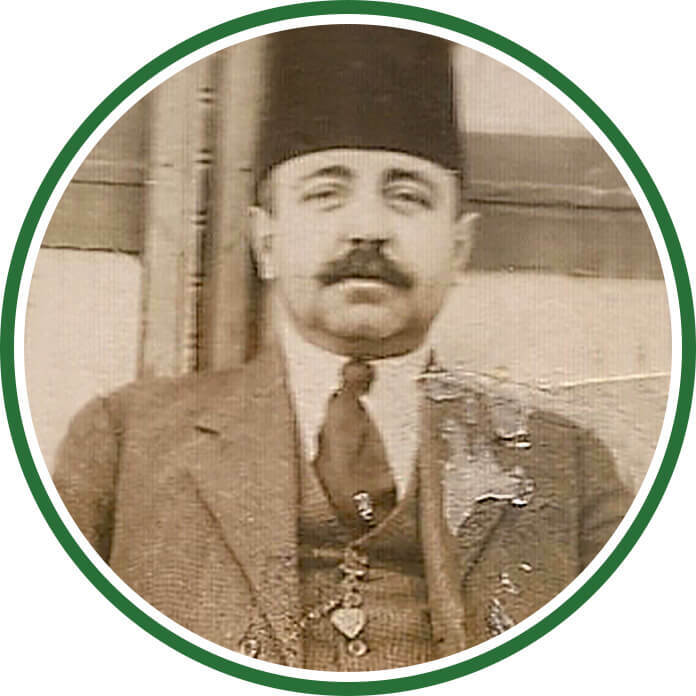 After the Surname Law was passed, Dr. Osman Şevki abandoned his "Bursalı" nickname and took the last name "Uludağ." In parallel to the change of the mountain's name, the application was made to change the name of Keşiş Mountain Mineral Water to Uludağ Natural Mineral Water, and the application was approved. 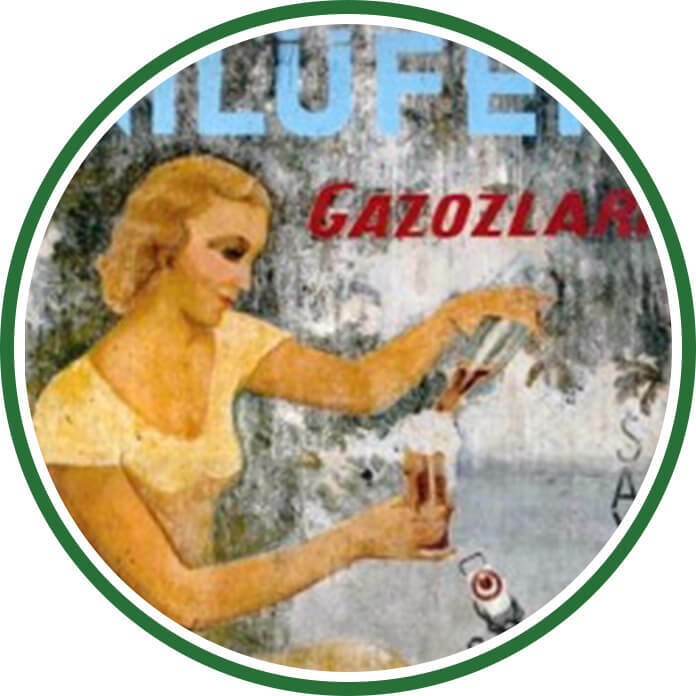 After Bursa-born insurer Yağcızade Mehmet Hakkı (Erbak) established the Nilüfer Gazoz Factory and started producing beverages with the "Nilüfer" brand, the foundations were laid for Uludağ Beverage. 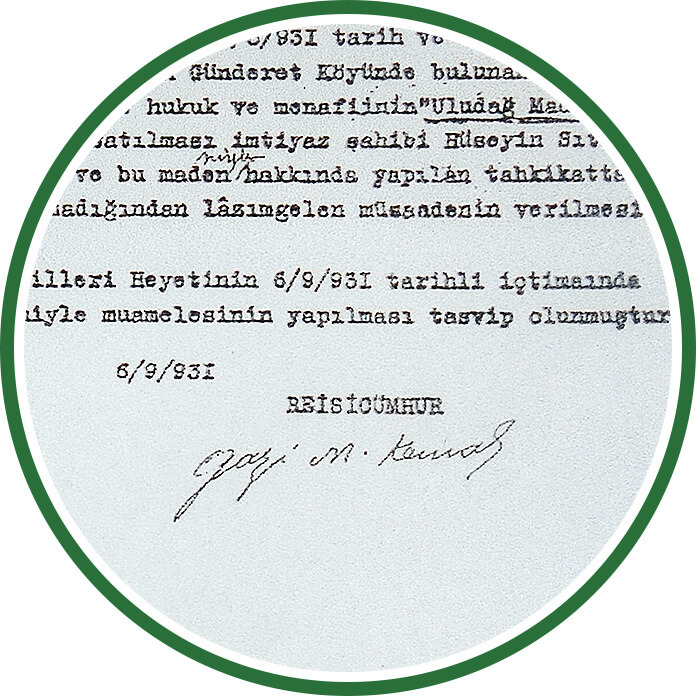 The President of the Turkish Republic, Mustafa Kemal, gave Uludağ Mineral Water a business license and the right to use the term "Turkish" in our company title, with the company title changed to Uludağ Maden Suları Türk Ltd. Şti. As the result of a contract signed at the Bursa Notary No. 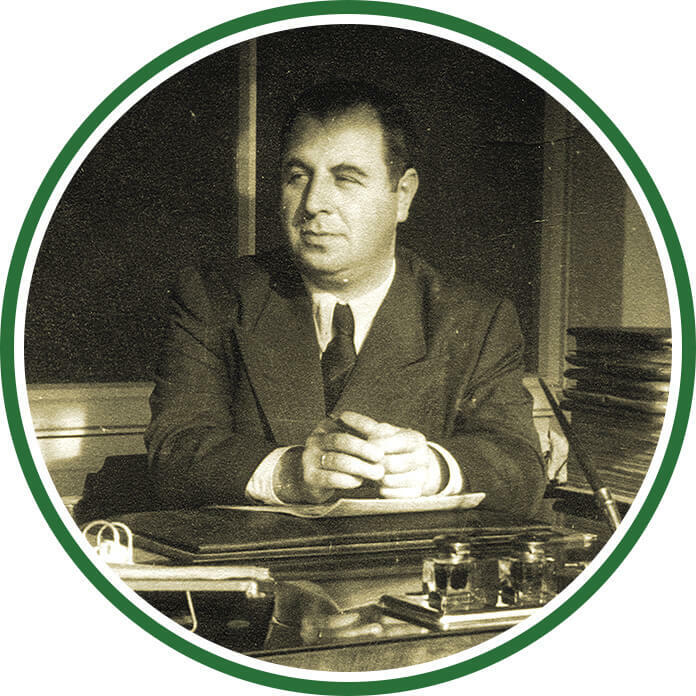 1, found in our archives, Mehmet Hakkı Bey took over the head branch of the province of Bursa, the town of Yalova and its springs. 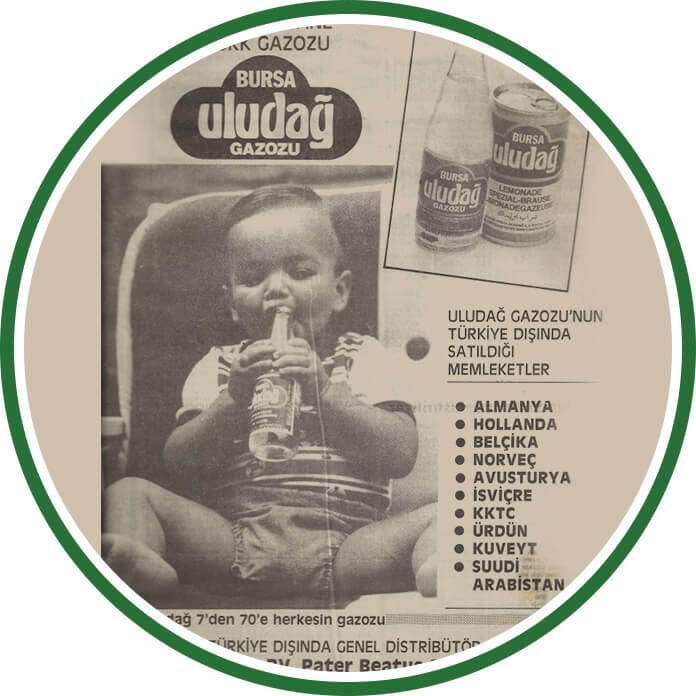 In this year, the original formula of the Legendary Uludağ Gazoz was created by Mehmet Hakkı Bey's son Nuri Erbak and marketed under the "Uludağ" brand. 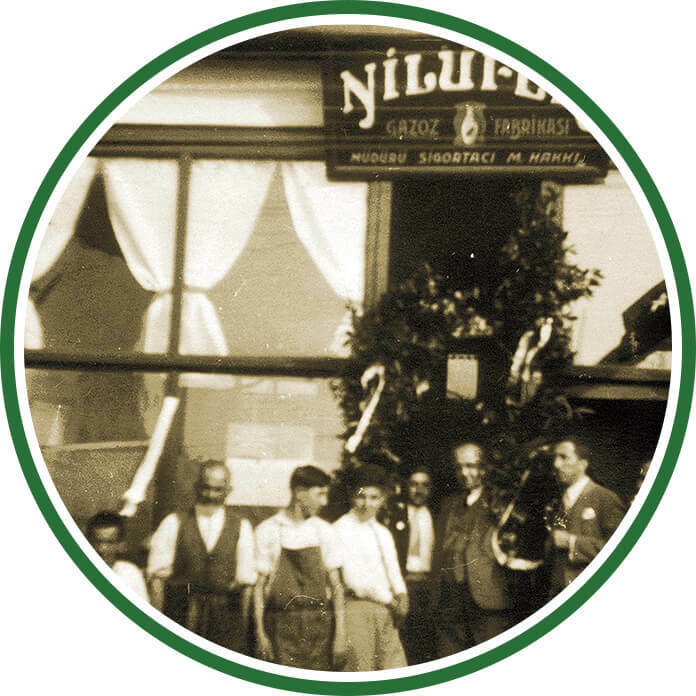 Production of the orange-flavored Nilüfer Gazoz continued until the 1950s. Mehmet Hakkı Bey took over the right to manage Uludağ Maden Suları Türk Ltd. Şti. as a leaseholder. 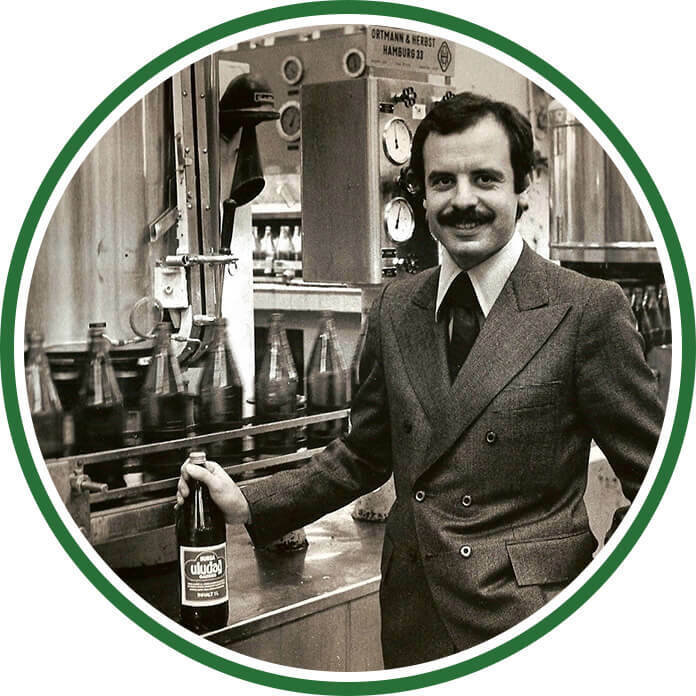 Our Fruti-brand orange soda was marketed, and its production continued until 1969. All of the shares of Uludağ Maden Suları Türk Ltd. Şti. were gathered in the Erbak family. 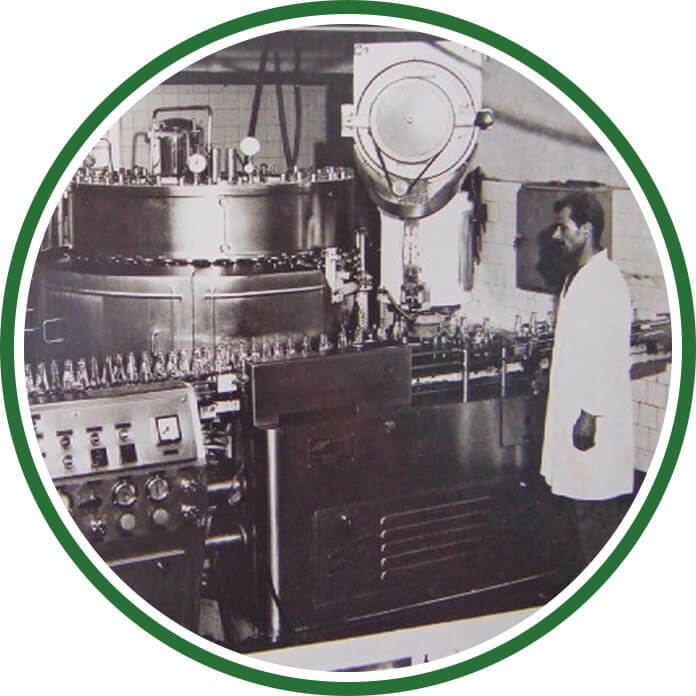 Our first Prot-brand automatic filling line, which has the capacity to manufacture 6000 bottles per hour, became active in 1966, while the second one became active in 1968. Meanwhile, our Noll-brand machine, which has the capacity to manufacture 4800 bottles per hour, was imported in 1969. 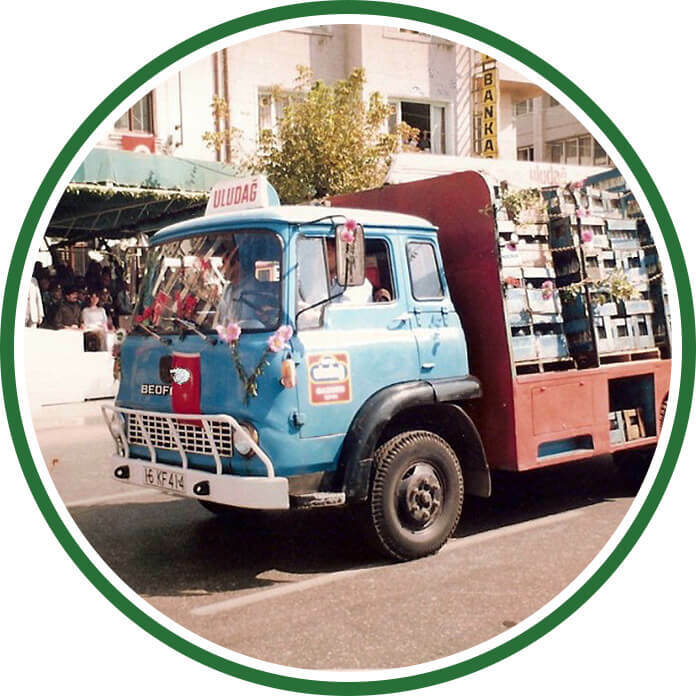 During this time, our company increased machinery and undertook its first production in our original Uludağ Natural Mineral Water bottles. Our products were manufactured in Holland and Germany and marketed to all of Europe using the franchising system. Our company's investments in production play an important role in its growth, and the company cares greatly about technical improvement. 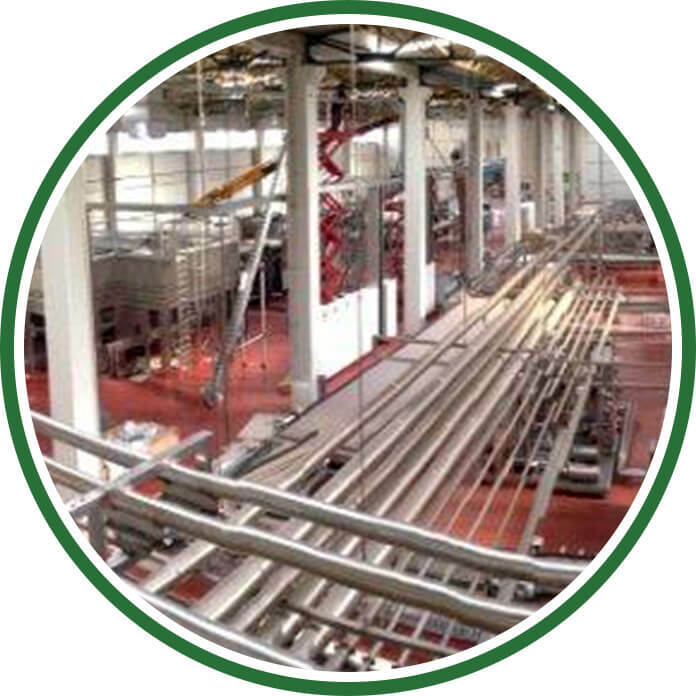 The fully automated Simonazzi filling line has enabled us to reach a significant level of automation at 36,000 bottles an hour. Additionally, as a result of the revisions made to the Prot-brand filling line, we undertook the production of the first refundable glass 1-liter bottle with a "screw cap" in Turkey. 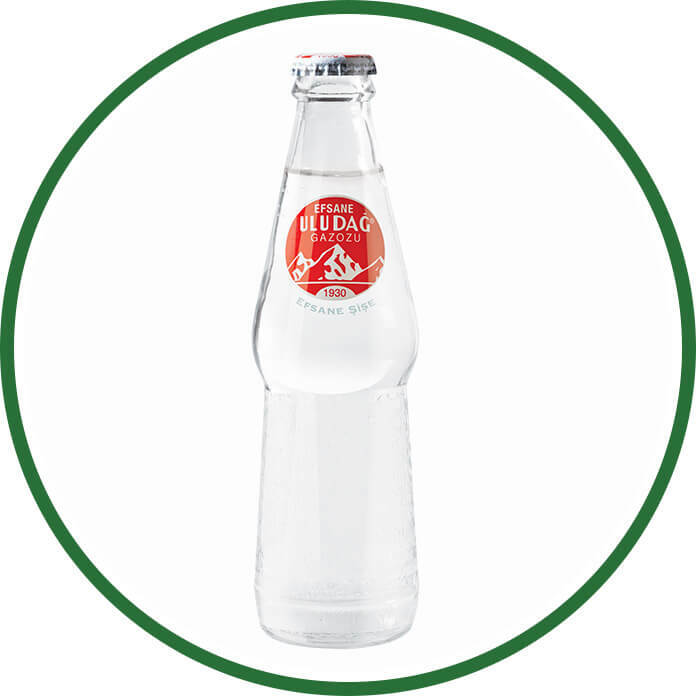 Following the revisions made to the Rivi-brand filling line, natural mineral water was produced in a 1-liter PET bottle for the first time in the world. 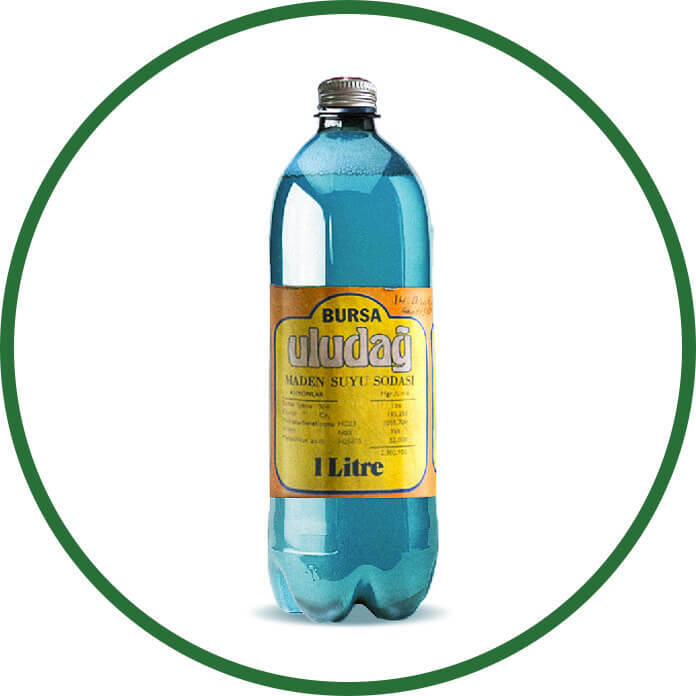 The same bottle type was used to manufacture two-liter beverages in Turkey. Uludağ Gazoz gradually starts to expand worldwide. We became the first to produce diet soda, diet orange soda and diet coke. 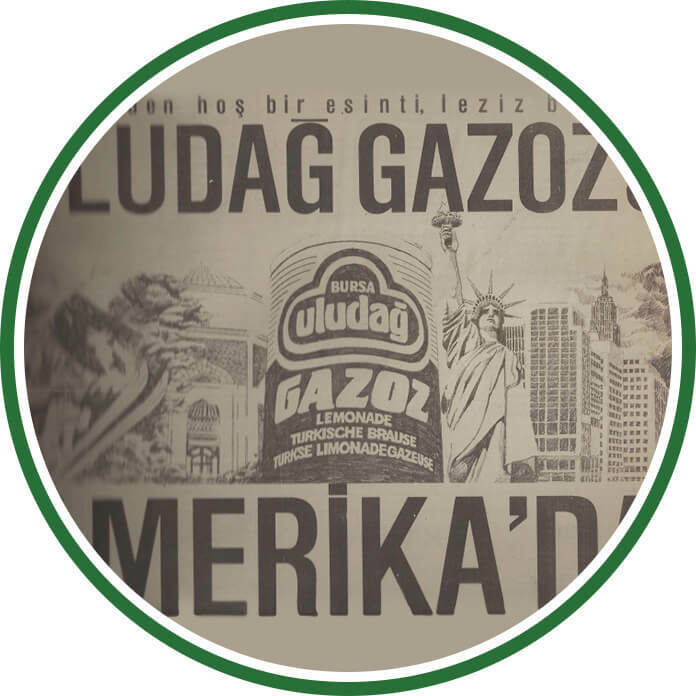 Uludağ Gazoz started to be exported to the United States. 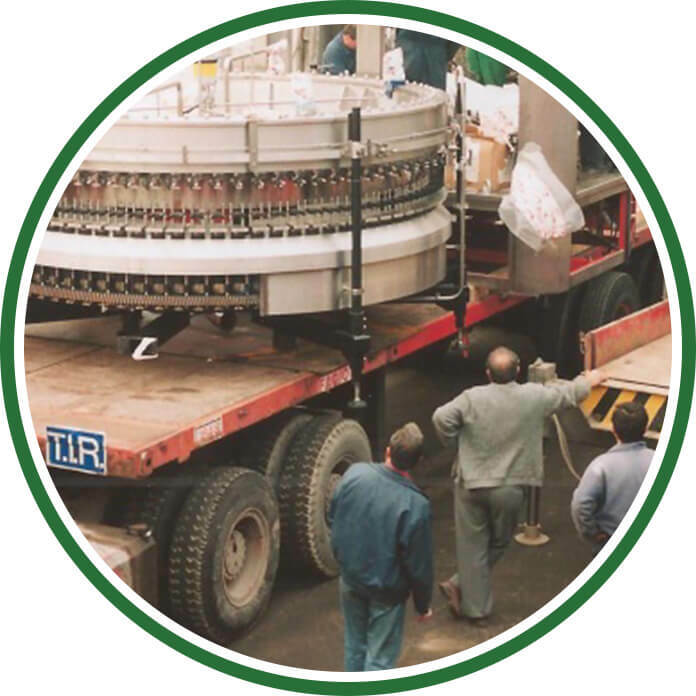 In 1994, our Tekal can filling capacity of 18,000 liters was increased to 24,000 liters. In 1996, our filling line company, which had a capacity of 40,000 liters per hour, was bought out by our company. Direct sales started in the Kadıköy and Beyoğlu neighborhoods of Istanbul and the foundations were laid for the system we still use today. 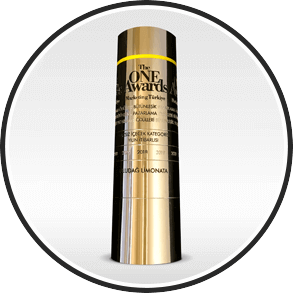 Our exclusively designed 250 ml glass bottle earned the "World Packaging Star" award in the contest held by the World Packaging Organization. 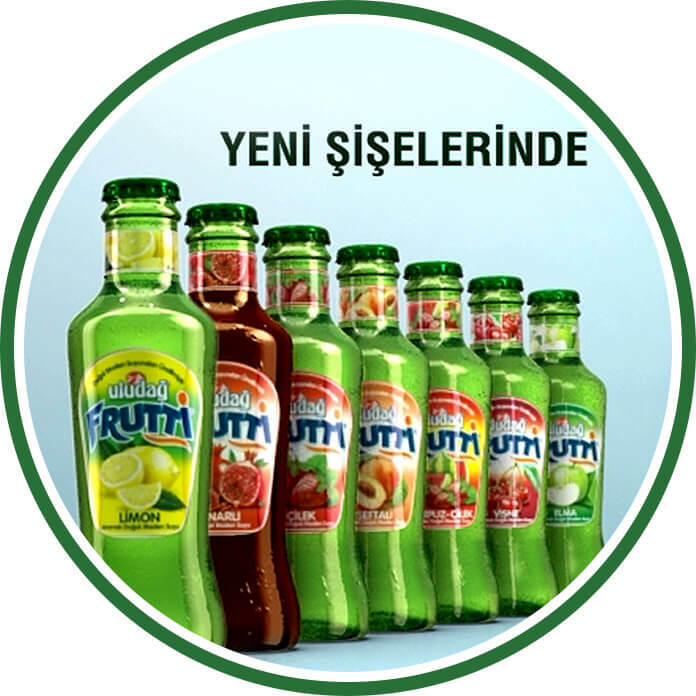 Uludağ Frutti, the fruit-flavored sparkling natural mineral water produced with Uludağ Natural Mineral Water, was launched. 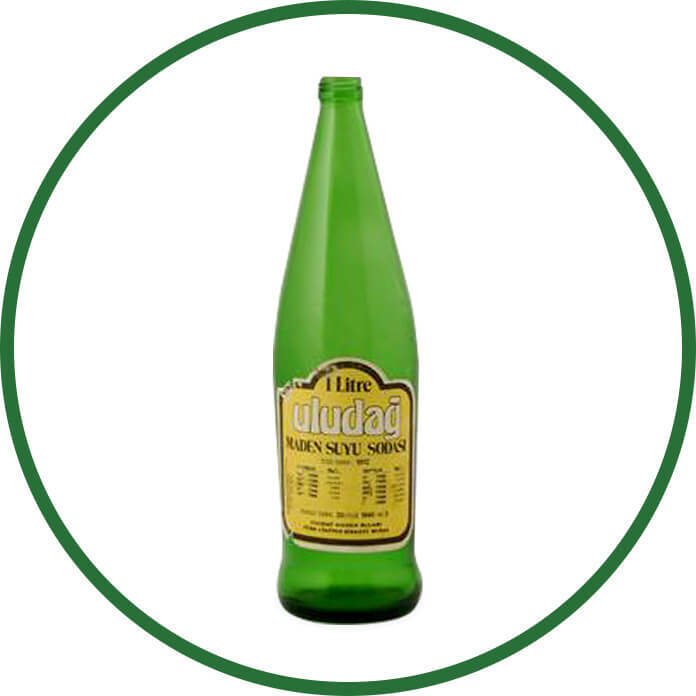 The striking bottle for the Legendary Uludağ Gazoz manufactured between 1967 and 1984 was reintroduced to consumers. 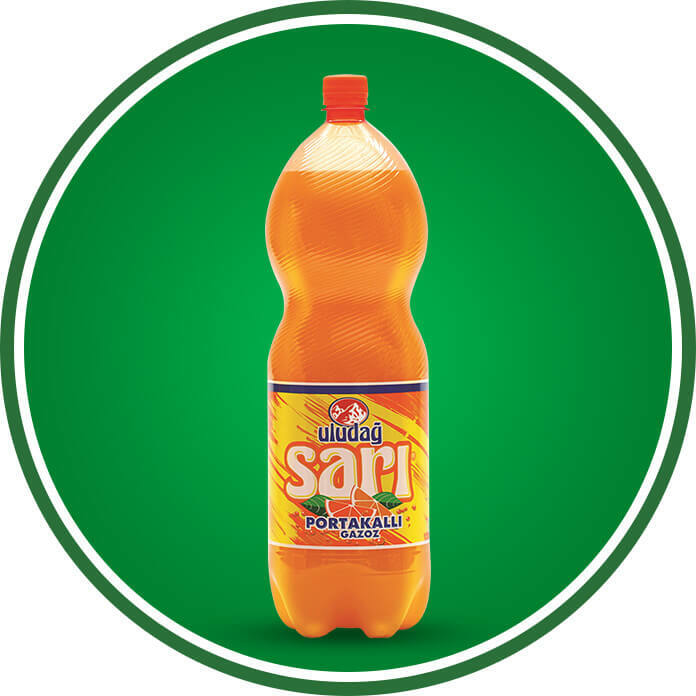 Based on the fact that the colloquial name for orange-flavored soda is "yellow," Uludağ Sarı Orange-concentrated Gazoz was launched. Our mineral water filling facilities in Uludağ Çaybaşı Village were restored, and the company continued operations. The facilities were 50,000 m2 in area, with 10,000 m2 of them being indoors. 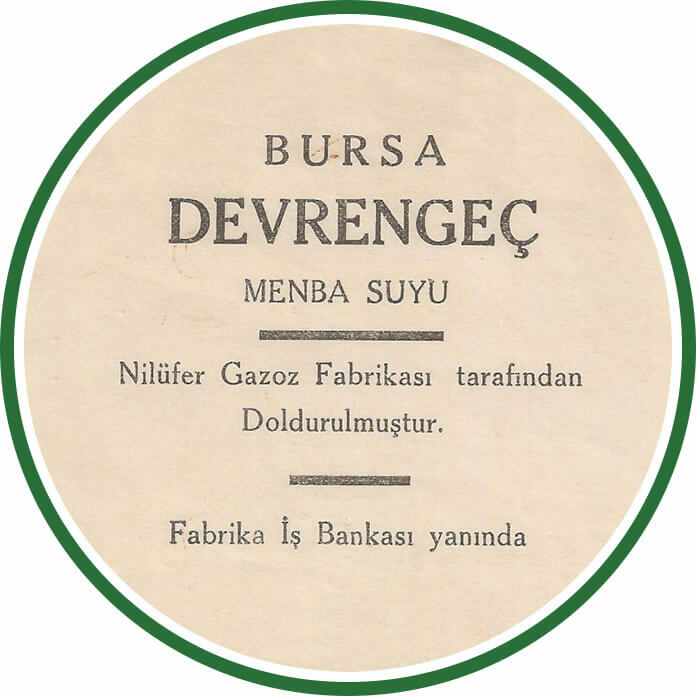 On March 24 of that year, our beverage filling facilities in the Yenice Industrial Zone of Bursa were opened. 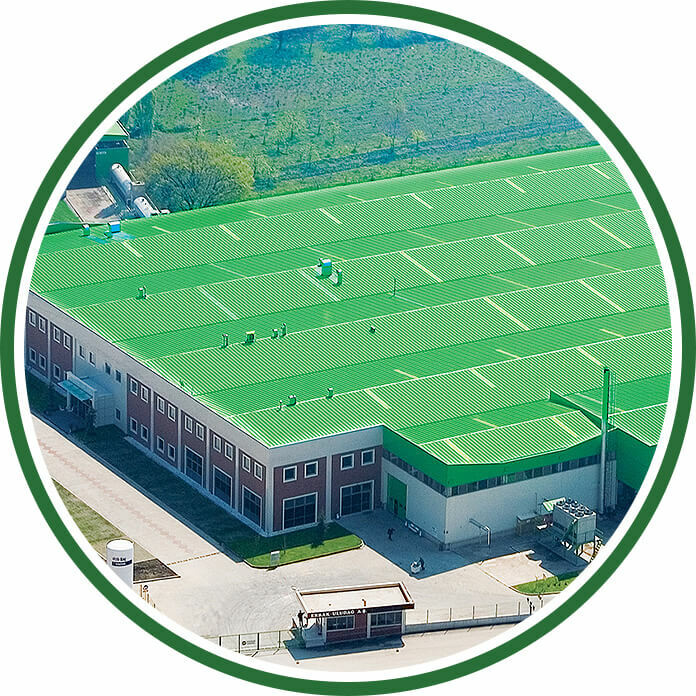 These facilities were 70,000 m2 in area, with 30,000 m2 of them being indoors, and became our central factory. 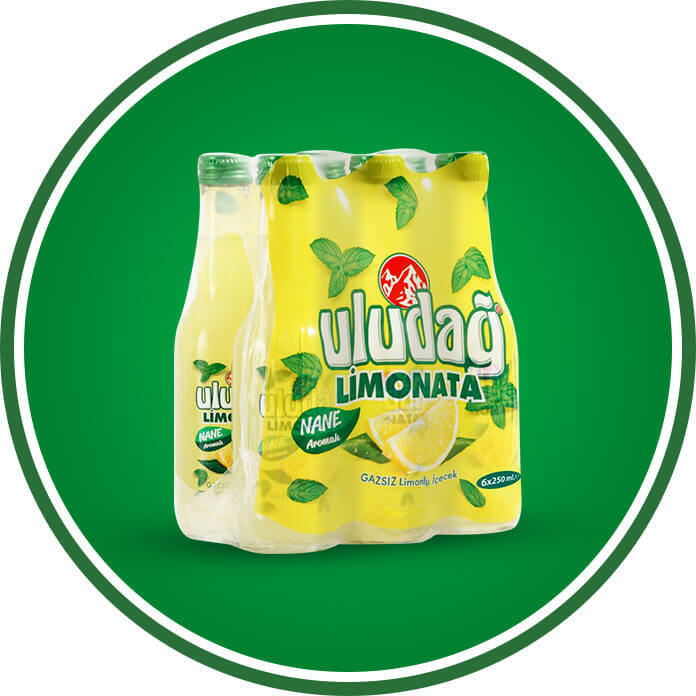 Our sugar-free product range was expanded for consumers who are watching their figure, and Turkey's first sugar-free lemonade, Uludağ Limonata Sugar Free, was produced. 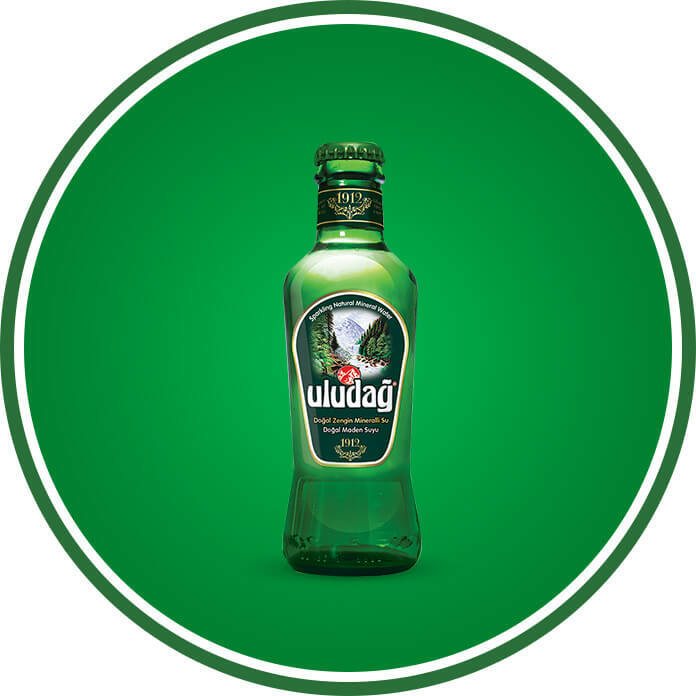 Turkey's first lightly carbonated sparkling natural mineral water, Uludağ Premium, was launched. The exclusive cobalt blue bottle of our product was designed by world-renowned fashion brand Dice Kayek, inspired by the Ottoman art of glass craftsmanship and the vintage French Baccarat carafes. 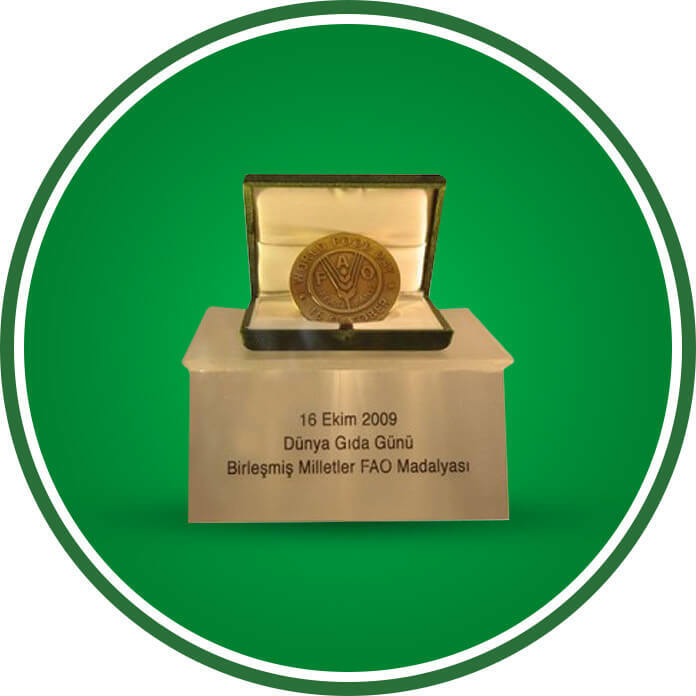 Uludağ Beverage was awarded the "Those Who Add Value to the Economy" Award as well as the United Nations FAO Medallion. 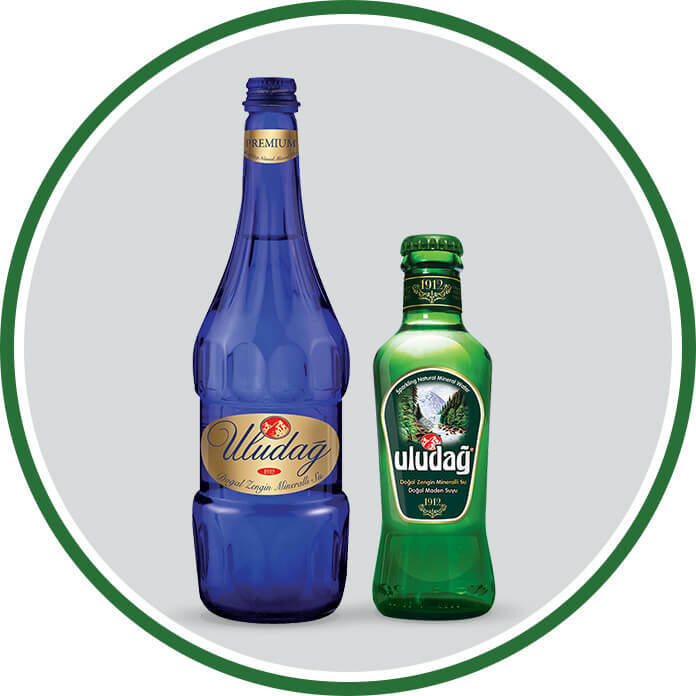 Uludağ Natural Mineral Water and Uludağ Frutti was offered to consumers in their brand new bottles and packaging that made a splash in the industry. 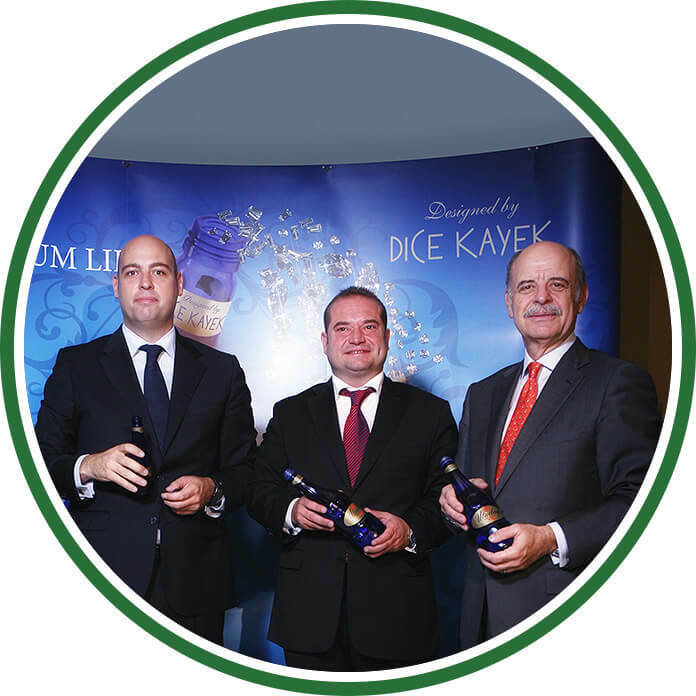 Our Uludağ Natural Mineral Water we renewed in 2010 and our Uludağ Premium bottles designed by Dice Kayek were awarded the "Golden Packaging Award" by Turkish Standards Institute (TSE). 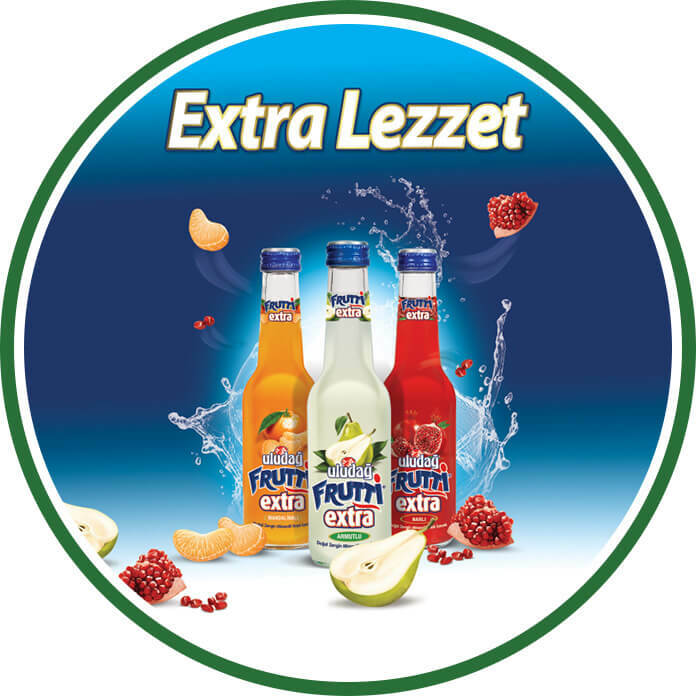 An innovation was made in the sparkling natural mineral water category by launching Uludağ Frutti Extra, %6 fruit concentrated sparkling natural mineral water. 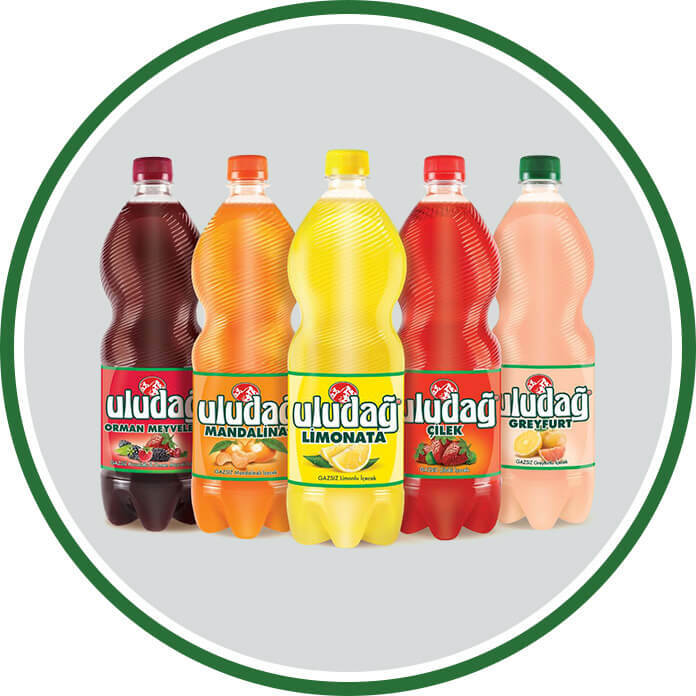 Uludağ Frutti Extra became a consumer favorite thanks to its bottle and its unique flavors. 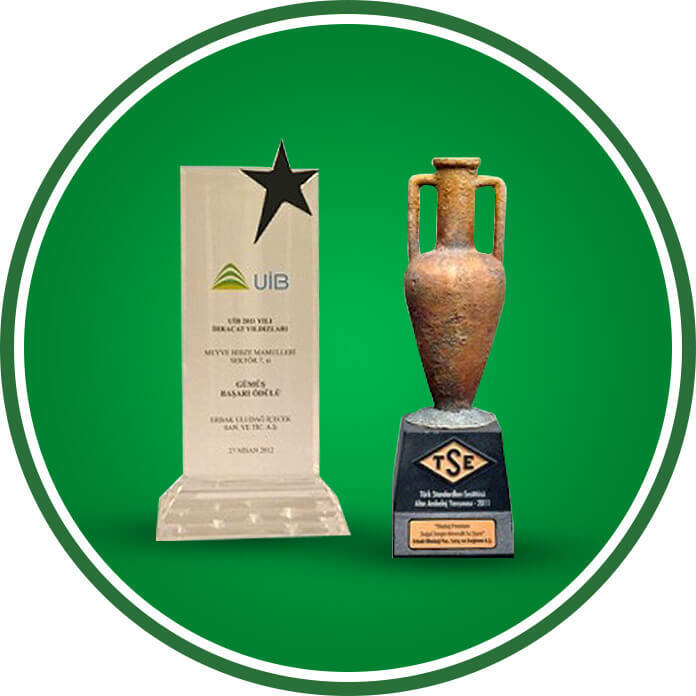 Uludağ Beverage received the Stars of Export Award given by the Uludağ Exporters' Association, while Uludağ Natural Mineral Water received TSE's Golden Packaging Award. 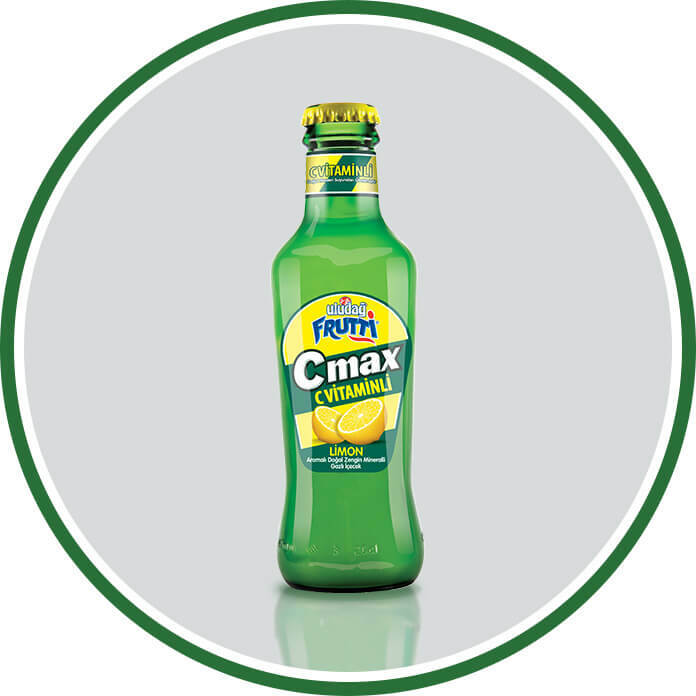 The natural mineral water with Vitamin C, Uludağ Frutti C Max, was launched. The 100th anniversary of receiving the business rights for our natural mineral water sources was celebrated within the company and among consumers. Our Uludağ Natural Mineral Water and 1-liter Legendary Uludağ Gazoz bottles received the competency award at the "Moon and Stars of Packaging" Awards held by TSE and the Association of Packaging Industrialists. 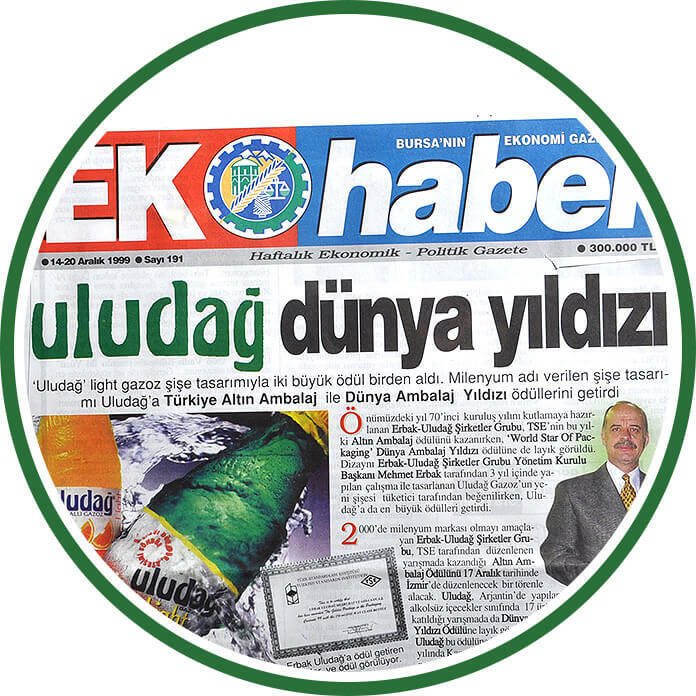 That same year, Uludağ Beverage became the Second Company to Boost Employment in Anatolia, while Uludağ Natural Mineral Water received the Long-Lasting Rooted Business and Tax Office Awards due to its 100-year history. Our Uludağ Premium bottle designed by Dice Kayek received the design award at the Worldstar Awards organized by the World Packaging Organization. 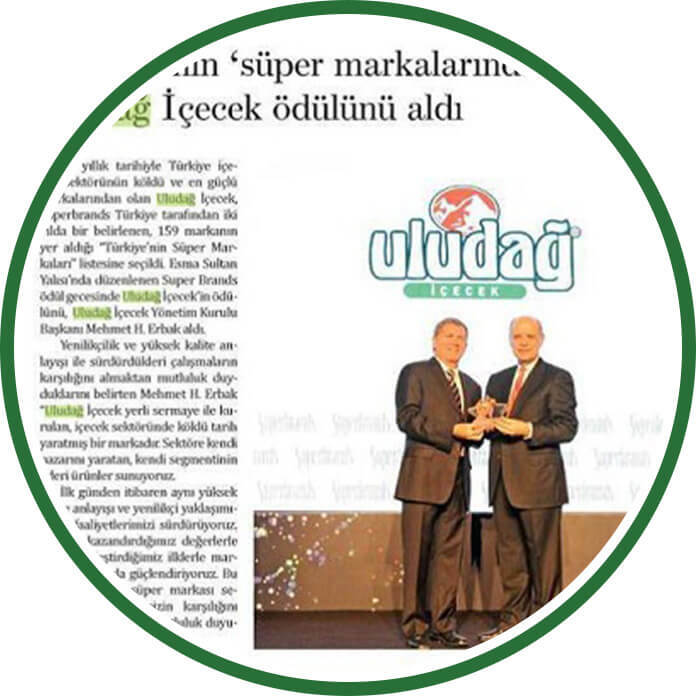 Uludağ Beverage received the Superbrands Award. 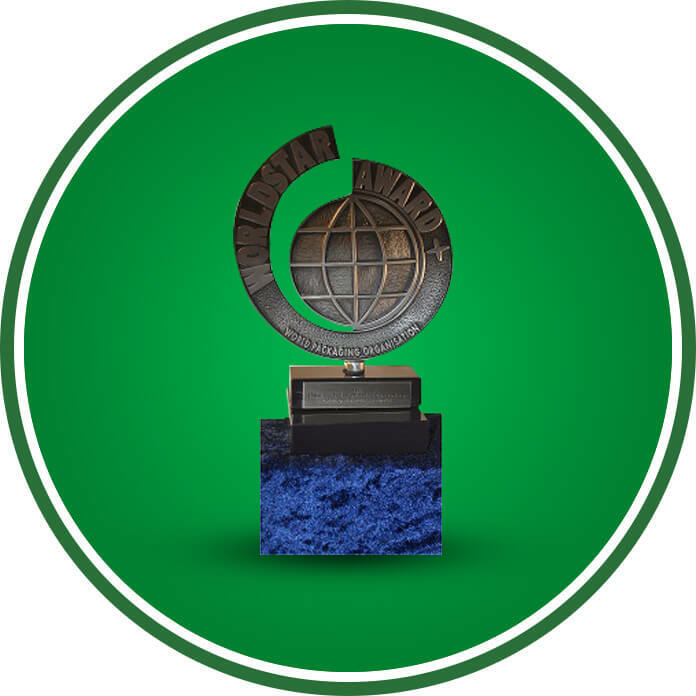 The 5th Dream+Time=Future Conference organized with the theme of leadership awarded Uludağ Natural Mineral Water the Timeless Company Prize due to its 100-plus-year history. 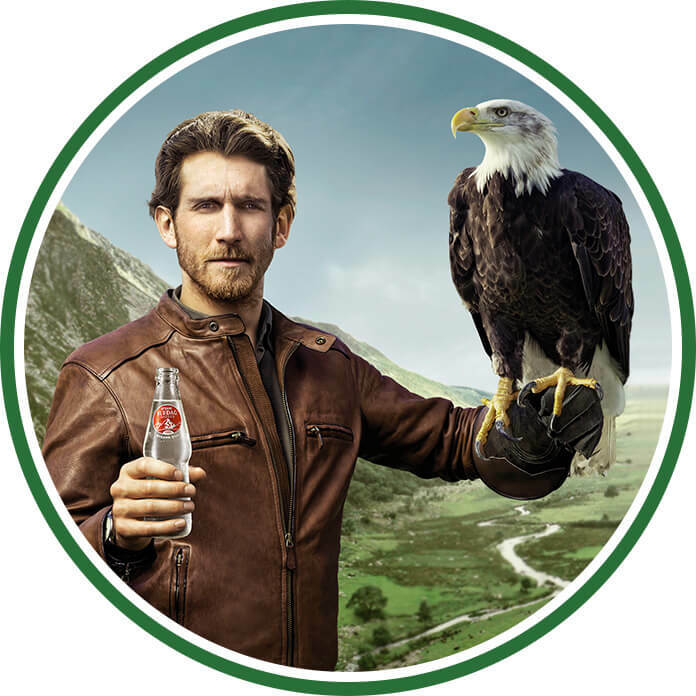 As a result of investments made after many successful years, our total production capacity reached 210,000 glass bottles, 110,000 PET bottles and 36,000 metal cans per hour. 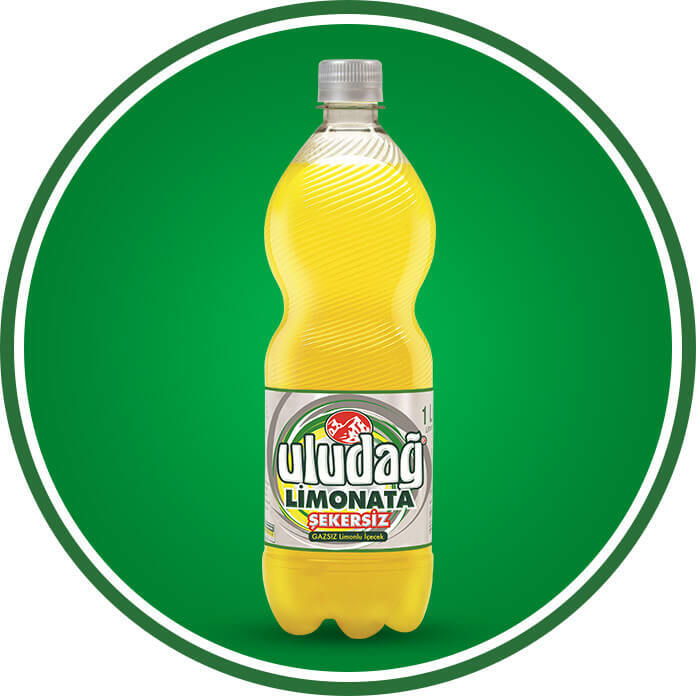 Uludağ Limonata Mint Flavored was launched. 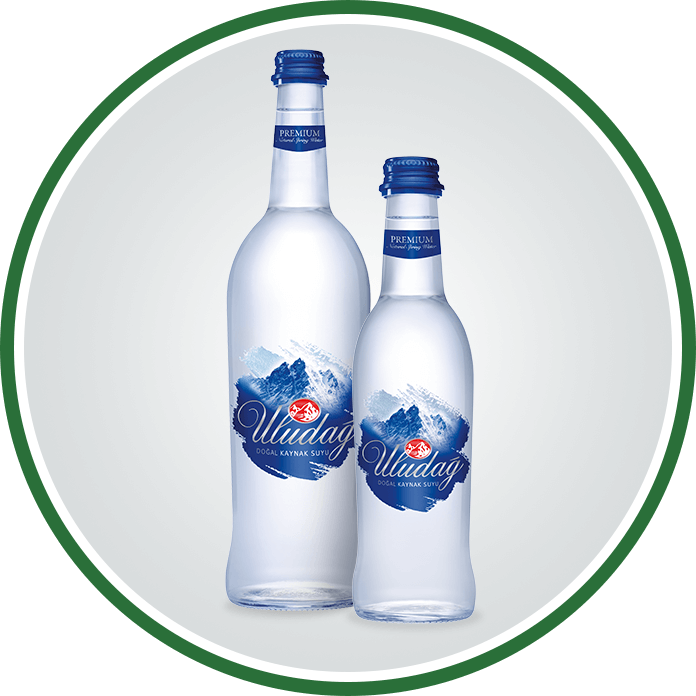 Uludağ Beverage entered the natural spring water category with its new brand: Uludağ Premium Natural Spring Water. 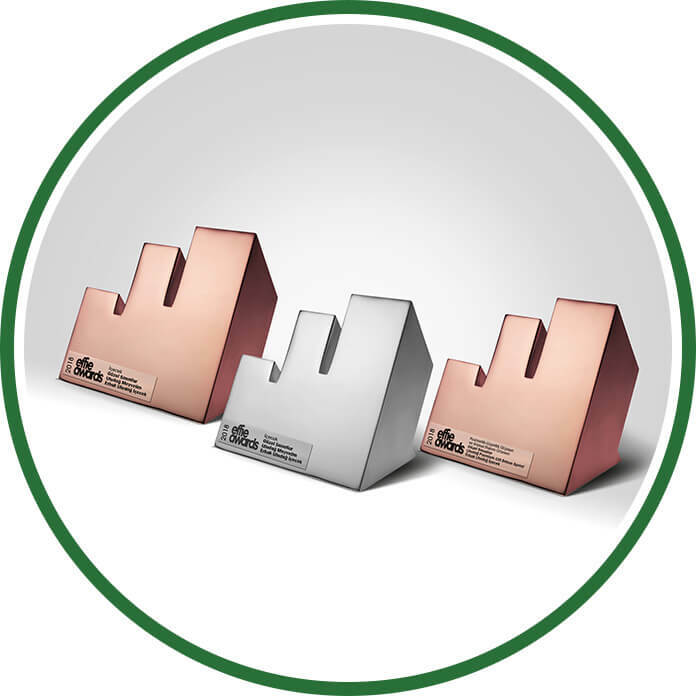 Uludag Beverage has won 2 Gold Effie Awards with the campaign of ‘’Be a Legend’’ of Legendary Uludag Gazoz. 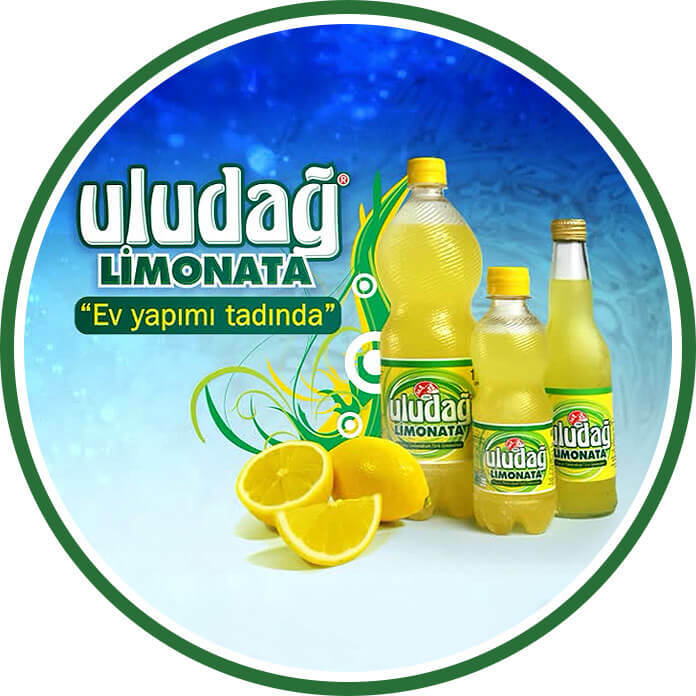 Uludag Beverage had prizewinner of 4 awards at total winning addition 2 Bronz Effie Awards with the Uludag Frutti Extra and Uludag Limonata. 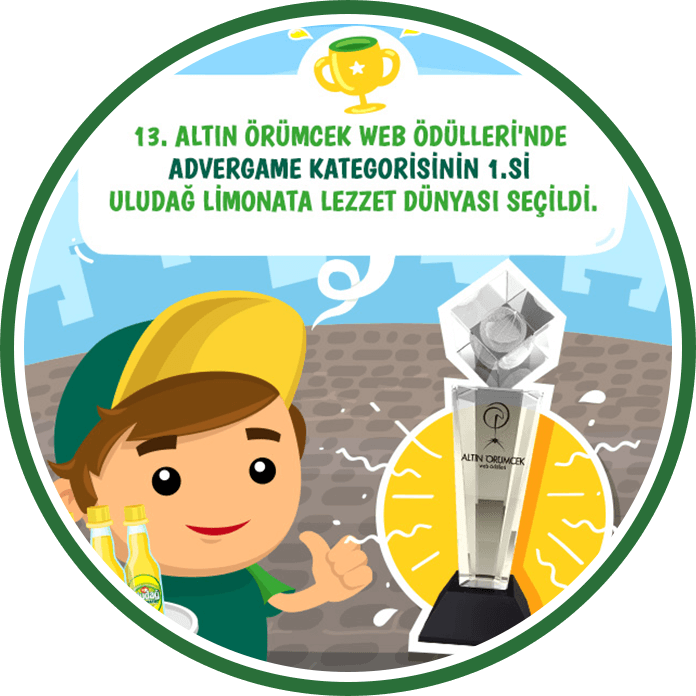 Uludag Beverage’s Facebook page has Uludağ Limonata Taste World Game came in first in Advergame category. 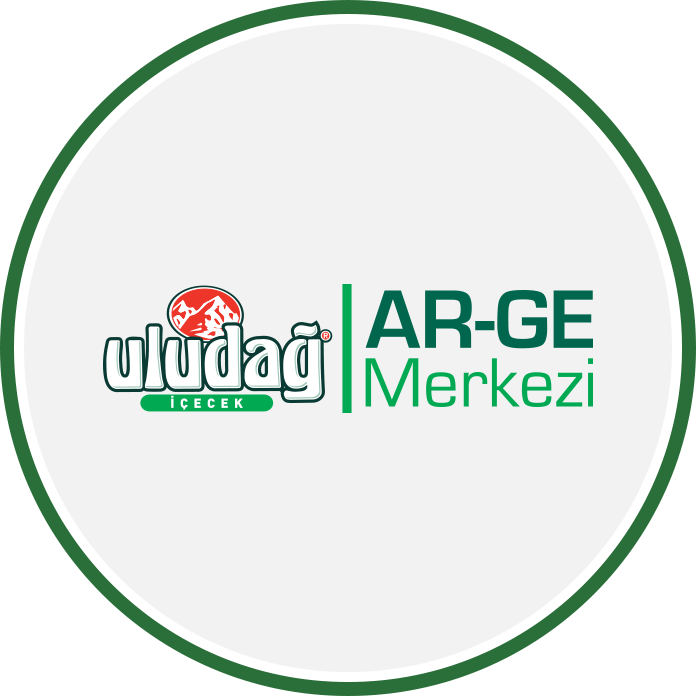 Uludag Beverage has won 2 Crystal Apple awards, 1 Bronze Apple award and 1 Silver Apple award with the advertising campaign of Legendary Uludag Gazoz Advertisment in the Crystal Apple Advertising Awards. Uludağ Premium Natural Mineral Water won the Silver Award in Crescent and Stars of Packaging Competition that organized by Turkish Packaging Manufacturers Association (ASD). 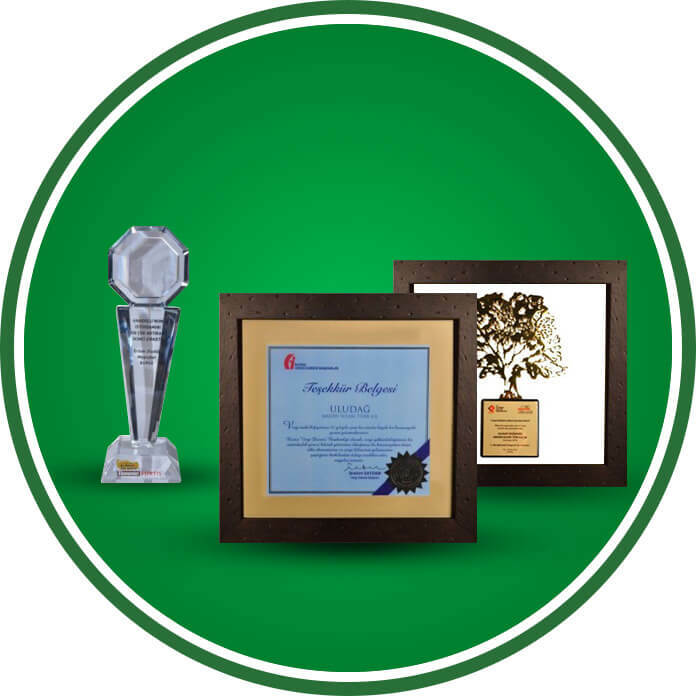 Uludağ Premium is distinguished itself from competitors with respect to its modest and attractive design, thus Uludağ Premium added the first award to its history. 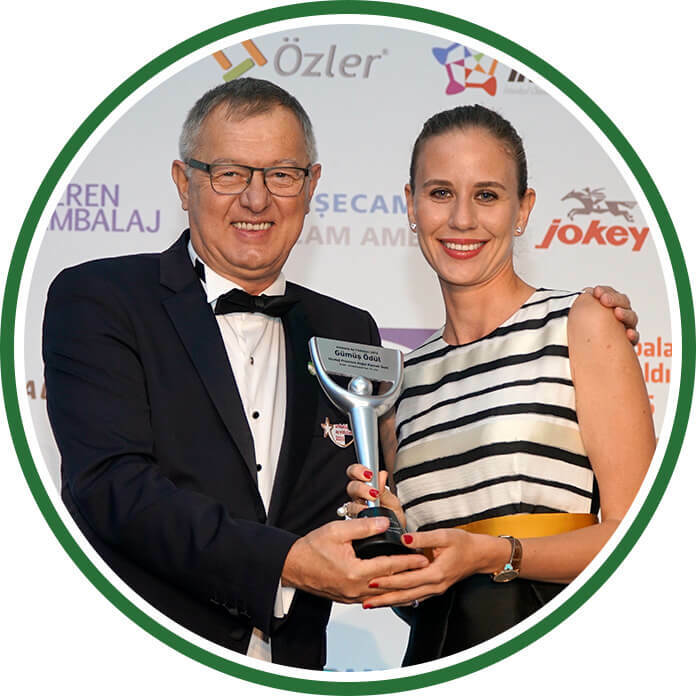 Legendary Uludag Gazoz won the Silver Effie Award with the campign of “Be a Legend” in beverage category of 2016 Turkey Effie Awards. 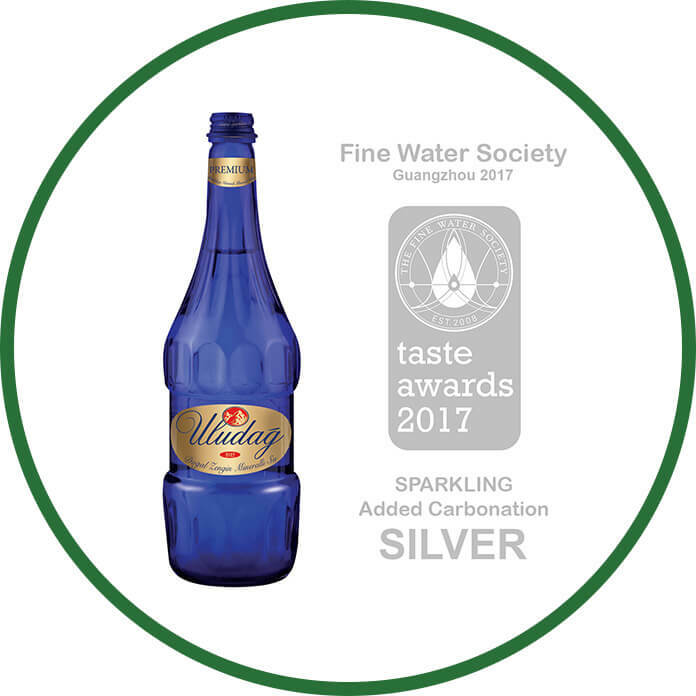 Uludağ Premium won the Silver Award in the mineral water category of the taste competition, (that) organized by Fine Water Society in international arena. Uludağ Premium Skin Care Spray series are first to produced with mineral water in Turkey. 3 different varieties of Uludağ Premium Skin Care Spray including Plain, Vitamin E and Sun Protection have presented to the market. As of 15.11.2017, we have earned the right to be the first R&D center from the Ministry of Science, Industry and Technology in Turkey Beverage Industry. 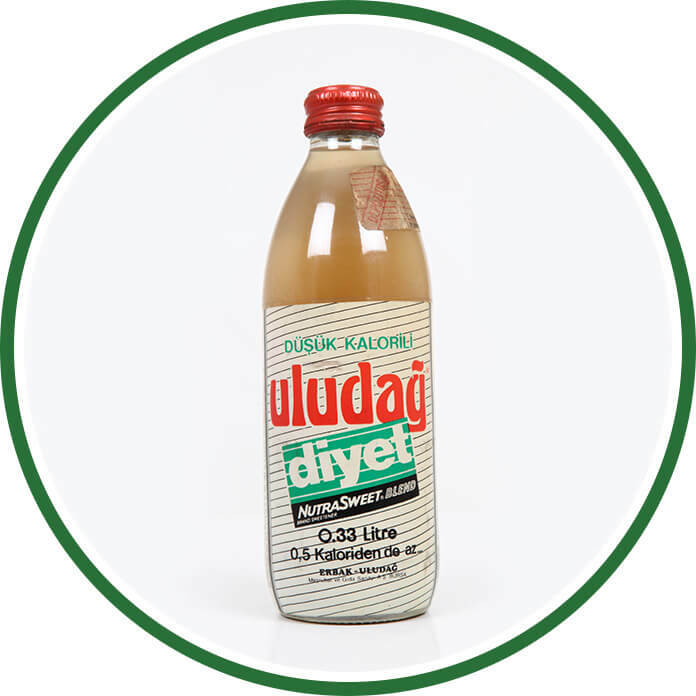 Uludag Lemonade, prefered most by the consumers for years with its home-made taste, has also been elected the still drink that highered its reputation most in 2018 by the public jury at the ONE Awards. 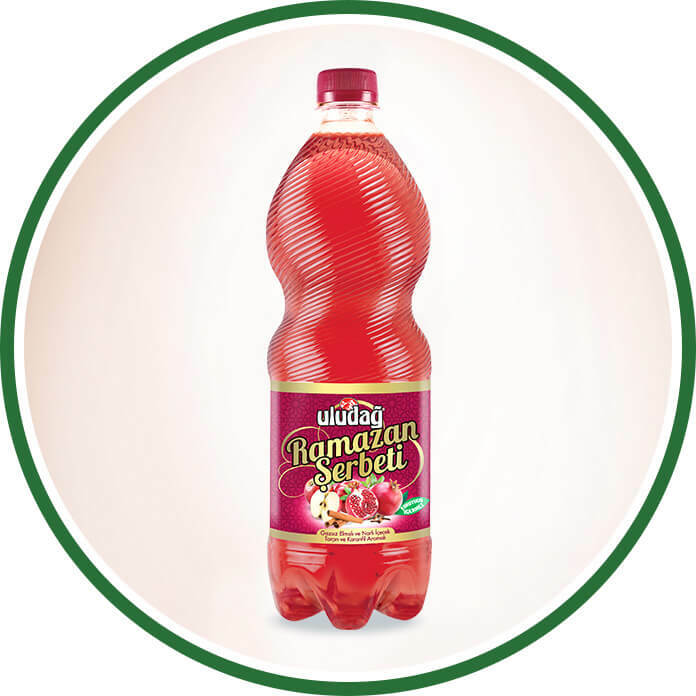 Uludağ Ramazan Şerbeti, which is noticed with its cinnamon and clove flavor, now a member of the fruity still drink family. 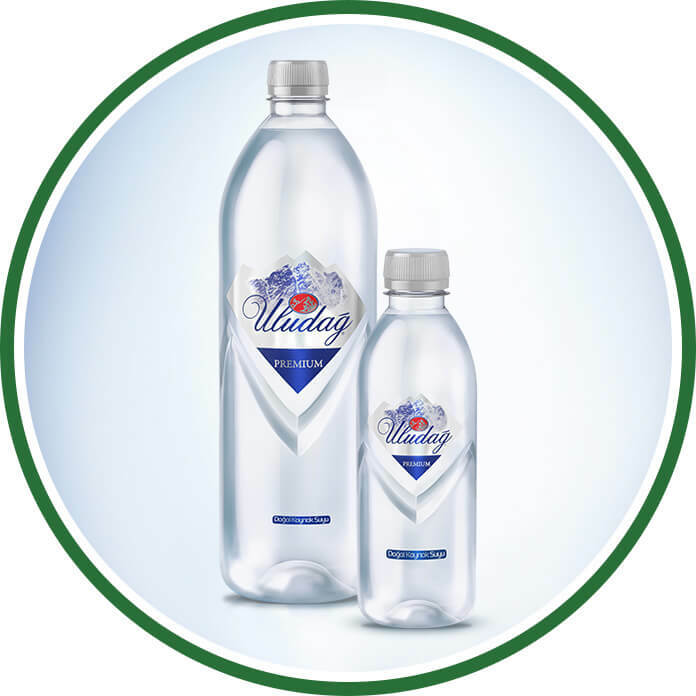 Uludağ Premium Natural Water differentiates itself with its eye-catching design, and now it is in new PET bottles! 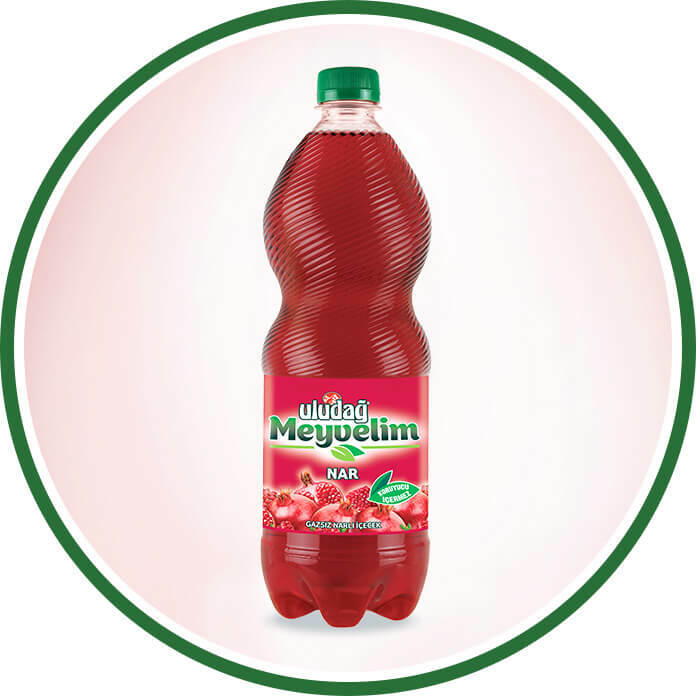 Much loved Uludağ Meyvelim Pomegranate returned to the family of still drinks. Uludağ Beverage won a silver Effie Award with Uludağ Meyvelim "Flowing Taste" campaign, and 2 bronze Effie Awards with Uludağ Frutti Extra "Indescribable Flavor" campaign and Uludağ Premium Skin Care Spray "Natural Gift to your skin from Uludag" campaign at the 10. 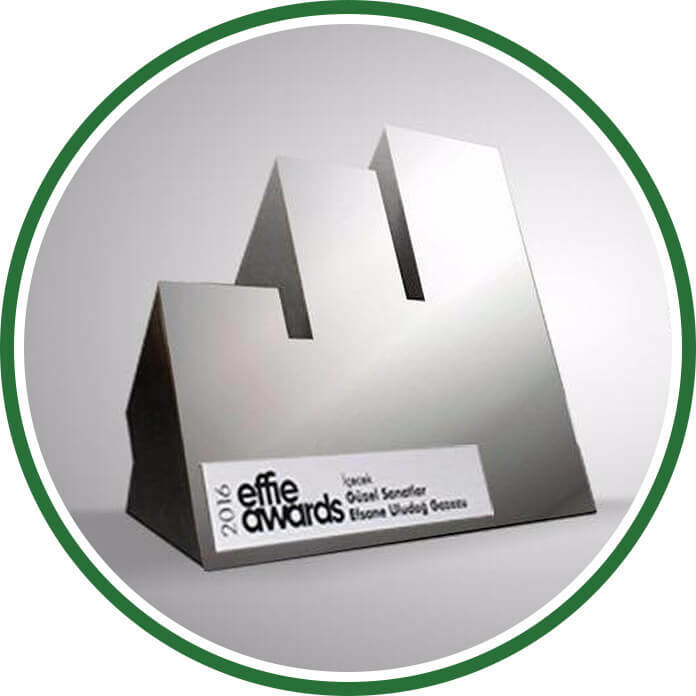 Effie Turkey Advertising Competition. 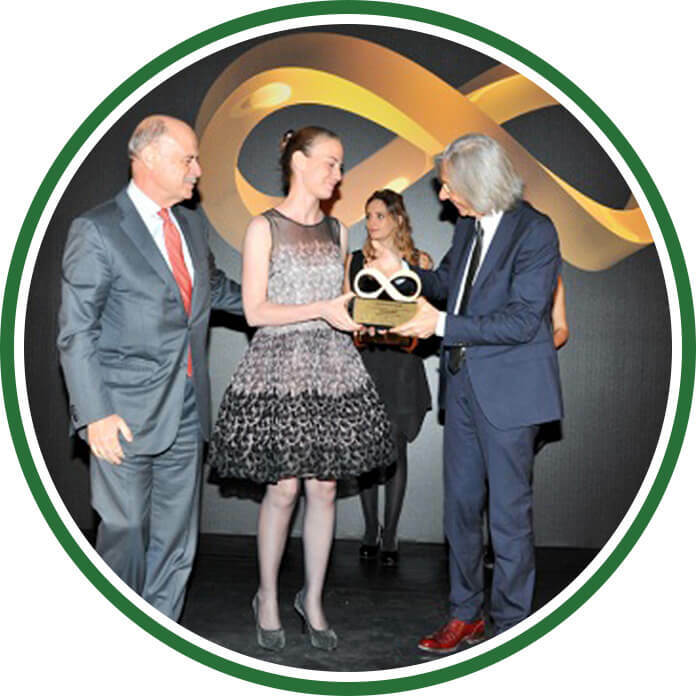 Uludağ Beverage was awarded for the first time in the category of cosmetics, beauty and personal care.